Welcome back to Eldon Primary School. We are all looking forward to our Year 2 journey. Firstly, I would like to start off by saying a huge thank you to all the parents and carers who have contributed tissues and cooking money for this half term. It was also so nice to see so many parents this week attending our welcome meeting. What can I say about our first couple of weeks? 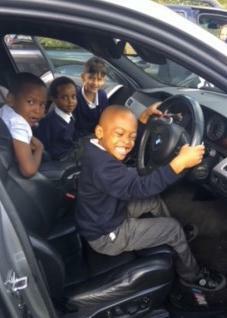 We have had an exciting start to the new academic year, with studying transport and designing our own cars in DT. We had an amazing morning visiting the various types of transport that appeared on our school field. 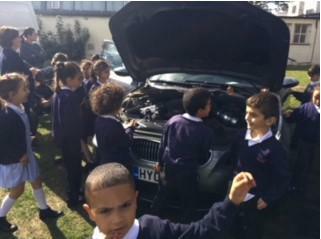 The children experienced seeing cars, vans, pick up trucks and even a motorbike. All the children have settled in really well and we are looking forward to our first half term. Please ensure you are listening to your children read everyday and retelling stories to help build their imaginations. We need all PE kits in school as soon as possible. We would like learning to extend to the outdoors and allow children to learn through enquiry-based activities. We are asking for a pair of wellington boots and a rain mac to be left in school to support this. We are also focusing on reading for pleasure and will have our Drop Everything And Read (DEAR) sessions weekly. This will allow you access to the children’s classes where we would like you to join us and encourage your children to read for pleasure. Homework will be out every week and we expect all children to attempt the homework. It will need to be completed weekly. If you are unsure on how to solve the homework please see class teachers for help. We would love to support you with your child’s learning and will offer workshops to provide guidance on how to ensure your child makes maximum progress through additional work at home. If you have a request please see the Achievement Year Leader – Ms Scully. At Eldon we offer a balanced curriculum. In Year 2 this half term our topic is Transport. In English and DT we will be studying different modes of transport. In Maths we will mainly focus on place value and methods such as: addition and subtraction. Reading is vital to our children progressing and so it will be a big focus, along with phonics. Finally, please check the website regularly to ensure you are up to date with all messages. 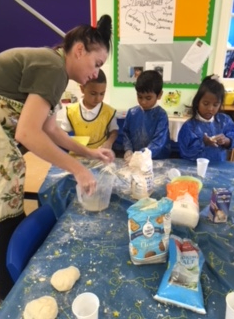 Year 2s Royal Breakfast was a success. Thank you to all the parents who came and supported us. 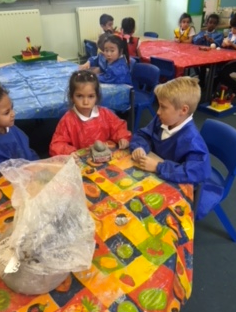 Year 2 have been very busy looking at all the human and physical features found in Australia and London. We have been writing descriptions based on our knowledge of these famous landmarks. We will be moving on to writing letters, telling our Australian pen-pals all about what we do during the winter months in England. During our first week back, all the children and teachers took part in an Australian Day and we dressed up in our best outback outfits. 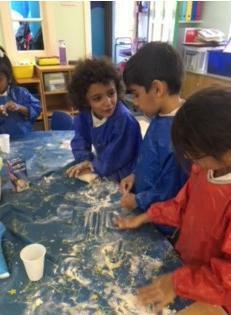 We took part in various activities, designing boomerangs, creating Aboriginal art, understanding the history of the Australian flag, we made a didgeridoo and researched Australian animals. It has been a busy half term so far but we have embraced learning all about Sydney and what we could do if we ever visited. Panther Class had a great time retelling the story of Toby and the Great Fire of London. Everyone had a part in the play and were able to retell the story. At the end, we sang a song which helped us with sequencing the events of The Great Fire. We were able to use our drama to help us with our writing. Panther Class worked hard during ‘WOW WEEK’ and produced their Stuart Houses. We worked on designing and creating the houses to reflect the houses during this period. We had to think about the materials we would use and how tall the houses were in London at this time. During our ‘WOW WEEK’ we also used our houses and recreated the The Great Fire of London.